Jeremy and family went out last night for a teppanyaki dinner in Hong Kong at Akita Teppanyaki 秋田鐵板燒 in Wanchai as a celebration for his 24th birhtday. He later posted the following message onto his Facebook. 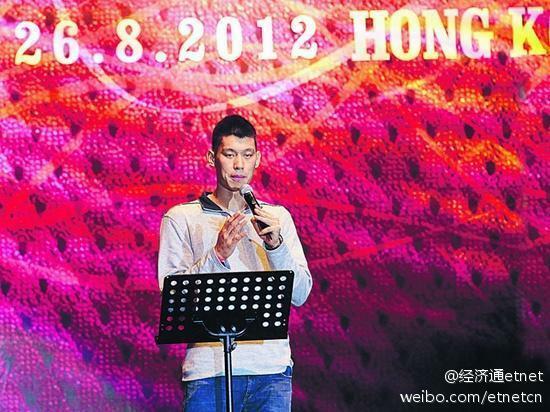 Grateful for the blessings this past year...enjoyed an awesome dinner in Hong Kong! Thanks for the bday wishes/gifts!! Not sure whether Jeremy had landed a new endorsement. 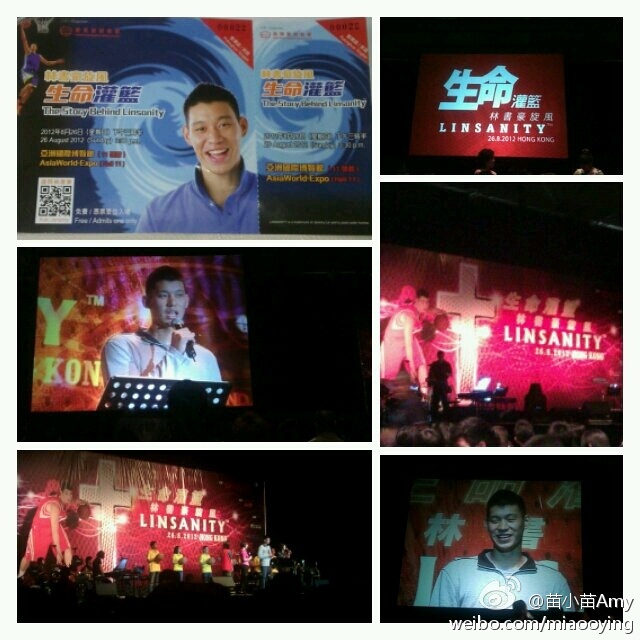 But this afternoon (August 24), he was invited by New World Group, one of Hong Kong's leading conglomerate (with core businesses in property, infrastructure, services and department stores) to make his first public appearance in Hong Kong and share his amazing story of success with Hong Kong's youth. It also marked New World Group's launch of a new community programme, the New World Springboard, to help young people cultivate a spirit of perseverance to pursue their dreams through participation in sports. New World Springboard is funded by New World Group Charity Foundation which has been set up by New World Group to support child and youth development, promote sports and foster the development of art and culture in Hong Kong. 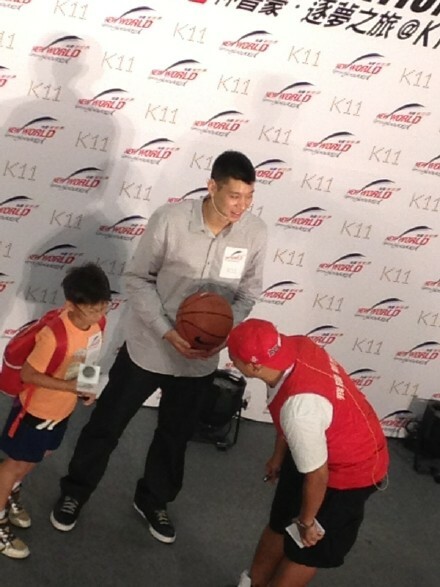 The launch event of New World Springboard, which is entitled 'A Journey of LINmagination @ K11', took place at K11, the world's first arts gallery and shopping mall, in Tsim Sha Tsui and for this launch, New World Group has invited students from under-resourced families and young basketball lovers to join the celebration. 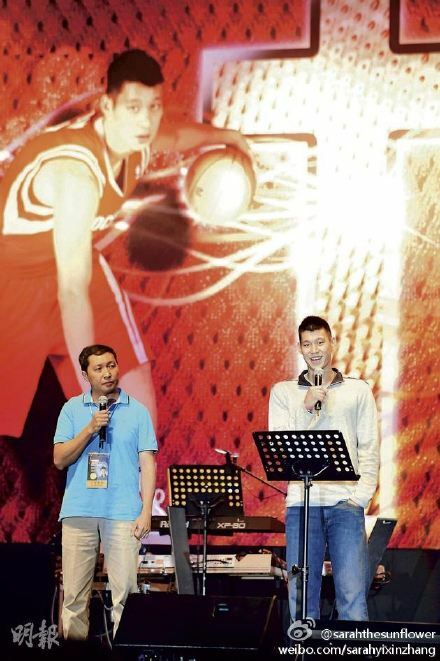 During the event, Jeremy shared with hundreds of youngsters on his dream became reality as he found success in pursuing a career as a NBA player; he told the audience how his dream was made possible by his belief in himself and his determination to overcome challenges. 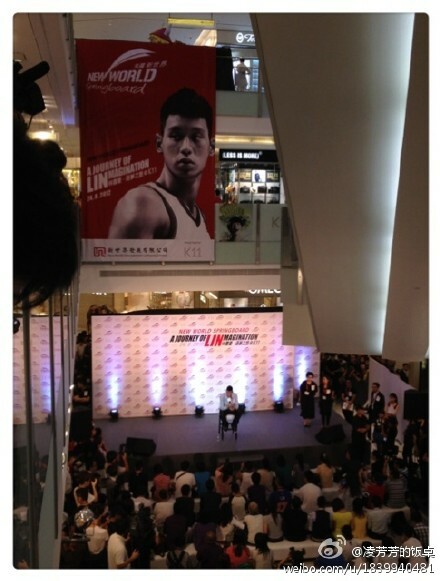 Photos of Jeremy at the launch of New World Springboard at K11 in Tsim Sha Tsui this afternoon (August 24). 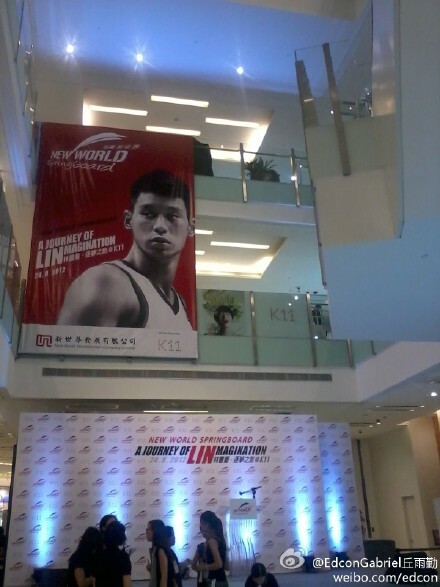 Linsanity was pretty much just a NY thing. His brand pretty much sunk once signing w/the Rockets. 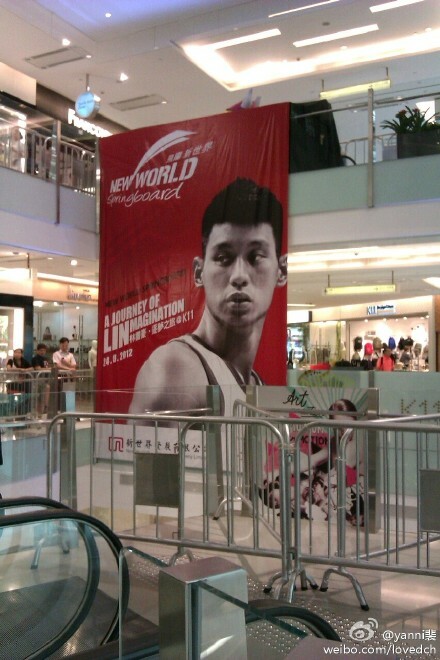 Lin and BIG YAO can't compete popularity-wise with Kobe and Lebron in Asia. Stop trying so hard. You have no talent. You're just lame and have no talent for trolling. You end up making yourself look stupid. Usually, you say 1 thing and 2 days later you'll contradict yourself. Do you even remember what you post? 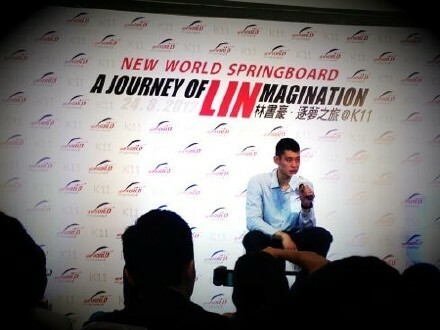 Well, some interesting Q&A during the New World Springboard launch on August 24. Jeremy was asked his selection criteria for his future half, and whether he has any preference: American, Taiwanese, Chinese or Hong Kong girls. He said he does not care WHERE his future half comes from as long as his future half has to be someone who loves God, and loves serving other people. 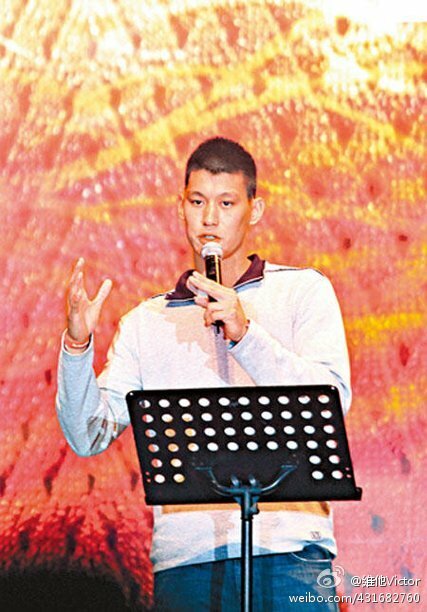 When asked how he allocated time, he said he spent at least 5 hours every day in practicing/training on basketball, 1/2 hour in reading Bible, and 3 hours with family. When asked what kind of food he preferred, he promptly answered ANYTHING delicious. He was given 3 types of food to select from on spot: hamburger, sweet and sour pork and sushi. He picked up and ate a piece of sushi. He said he likes the food in Asia so much, that he thought he wil need extra exercises to trim down when he is back into US, as he said he had gained at least 1 inch in his waistline since coming out on this tour of Taiwan, China and Hong Kong. He also thanked New World Group for delivering to him at the hotel he stayed a birthday cake on August 23rd for his 24th birthday. 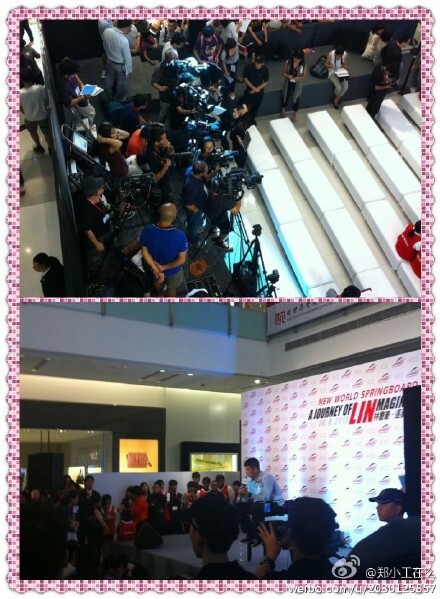 Jeremy wrapped up his 5-day visit to Hong Kong and flew back to Taiwan last night. 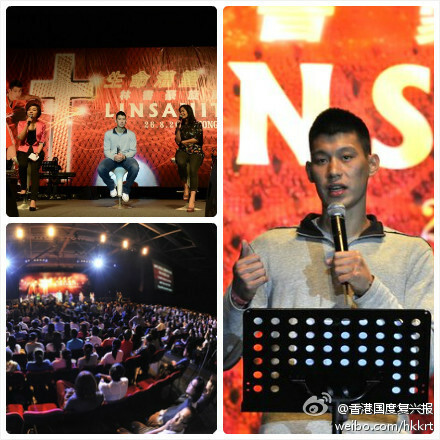 He was the main attraction at a religious Christian testimonial sharing session: The Story Behind Linsanity 林旋风： 生命灌篮 yesterday afternoon to a full-capacity (8000 audience)at the Asia World Expo, a major exhibition/conference hall for Hong Kong . 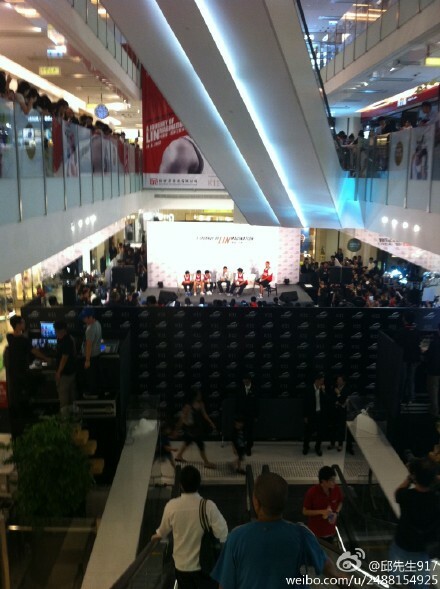 The security was so tight that no flash phto-taking by media/press reporters was allowed. 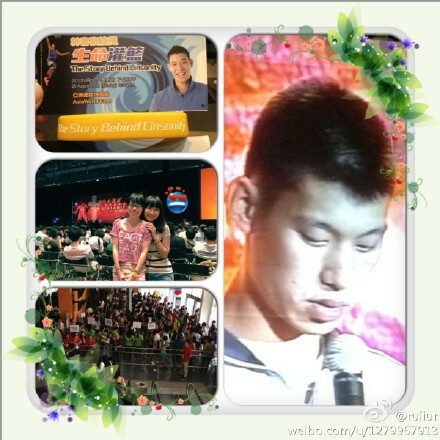 So I was only able to scoop some poor quality photos taken by fans that went to attend the testimonial sharing session from weibo/micorblog.